Jake is 14, and has just about had it with the bullying he’s been taking at school. His nemesis, another teen named Will, has made Jake’s life a living hell for as long as they young man can remember, so when Jake plans a Halloween party in the old barn behind his parents’ house, his friends are stunned to learn that Jake has invited Will to the party. Jake’s friends will come, that’s for sure, but they’re not sure at all what will happen when Will shows up with his annoying girlfriend Brenda. But whatever happens, they’re sure it will not end up well for Jake. To liven up the party, Jake has discovered a board game called FINAL CURTAIN at a yard sale in the country. He tells his friends to be ready to play the game. They are. But they STILL don’t know why Will is on the invitation list. 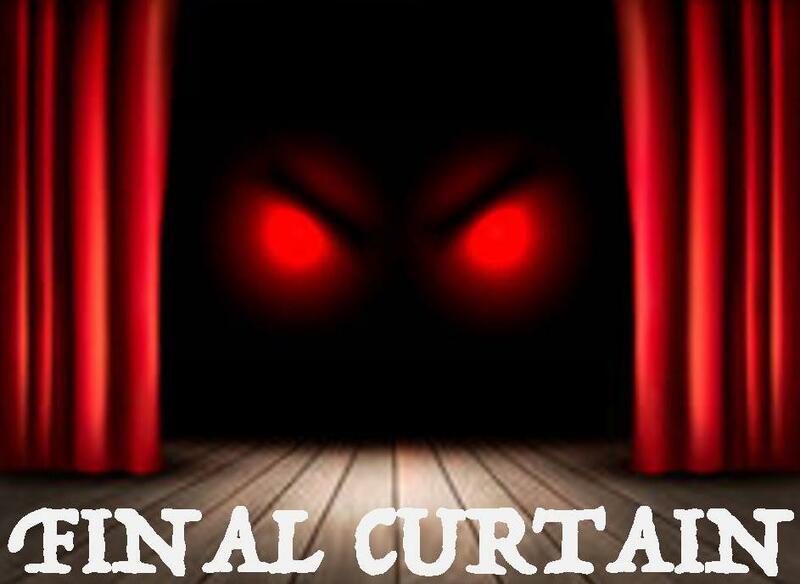 FINAL CURTAIN is an extremely fast-moving, funny and thrilling show for young actors. The cast of 23 is ideal for middle and high school theatre programs, and guarantees the audience a fun and exciting night of storytelling suspense.